A decade ago, in the hall of the Bokbierfestival, the premier beer event in the Netherlands, held annually in Amsterdam, I was standing with one of the most prominent authorities on beer in the country. He bluntly remarked that when it came to beer, Holland was no longer worth a visit. Although largely unimpressed by the beers I had sampled thus far in the day, I was nonetheless shocked by the enormity of such a statement. Had Dutch beer really grown that dull and uninteresting? As extraordinary as that scenario then seemed, by the end of the fest I found myself in reluctant agreement. Indeed, beer in the Netherlands did appear to be at its nadir. The decline had been precipitous. During the early years of the global good beer movement, the Netherlands was widely viewed as little brother to Belgium, but still an interesting place in which to drink. Underscoring this status was Michael Jackson’s 1988 book, The New World Guide to Beer, which afforded the country a relatively bountiful eight pages immediately after Belgium’s 24, and Tim Webb’s 1994 Good Beer Guide to Belgium and Holland, which allotted 112 pages for Belgian breweries and cafés and 88 for their Dutch compatriots. The waning years of the 20th century and early ones of the new millennium, however, were not kind to the Netherlands, and by the publication of the 2002 edition of Webb’s book, the Dutch had been reduced to 70 pages as compared to Belgium’s 164. By the 2005 edition, Holland was gone completely from what had then become simply the Good Beer Guide to Belgium. Then something rather remarkable happened: Dutch beer bounced back. It’s hard to say precisely what instigated the change in Dutch beer culture, but almost certainly one pivotal aspect was the 2005 opening of two breweries that would prove hugely influential, De Molen and Emelisse. An exploration into the heart and soul of the Dutch beer renaissance must certainly begin at one of the two. Ask informed beer aficionados the world over about what they believe to be Holland’s most famous brewery and chances are they will reply with Menno Olivier’s De Molen in Bodegraven, an hour or so south of Amsterdam. Opened in 2005 but, by the founder’s own admission, not really firing on all cylinders until a year later, De Molen is famed for its quirky, oft-changing brews, diverse in style, although leaning heavily toward the arcane, and mostly named with a combination of two Dutch words, such as top seller Op & Top and highly rated Hel & Verdoemenis. 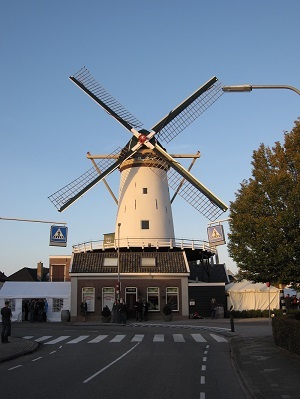 When he began his brewery in a restaurant beneath a centuries-old windmill—literally “de molen,” or “the mill”—just up the road from where brewing operations were relocated in 2012, Olivier said that his idea was to brew the beers he believed the citizens of Bodegraven would like best. What he found instead was that the conservative and religious community he was serving wasn’t that interested in his beer. His response? “I stopped making the beers I thought they wanted to drink and started making the beers I wanted to drink,” recounts Olivier. Thus was born the modern-day De Molen. And, coincidentally, so also began the first bubbling of adventurous and experimental brewing in Holland. Until just a few years ago, in Olivier’s view, there were but two breweries of interest in the Netherlands, his and Emelisse. While the latter remains best known in the domestic marketplace for its diversity of bocks, stouts and IPAs, De Molen’s success on both the domestic and, perhaps more importantly, the international front helped inspire other brewers to grow more daring in their efforts. “We showed that it is possible to do what we do, that there is a market for these kinds of beers,” Olivier says. Back in the heart of Amsterdam, west of the train station is a bar on Herengracht called Arendsnest. Its owner is another man who has had a transformative effect on Dutch beer, Peter van der Arend. Formerly with the Jopen brewery, van der Arend opened his café on July 12, 2000, marking what normally in this city of bars, cafés and coffee houses would have been yet another ho-hum event. Yet from the outset there was something quite different about the Arendsnest, something that certainly made it stand out in a land where the universal understanding was that speciaalbier really meant Belgian beer. The Arendsnest was the first bar in the city, likely the country, to stock exclusively Dutch beer. In fact, van der Arend took that mandate one step further by vowing to carry at least one brand from every brewery in the Netherlands, something that he now says was harder than originally anticipated. Still, despite the difficulties and what he describes as a very low degree of beer knowledge among the Dutch people—something he says is improving but still largely continues to this day—the bar began to grow in size and beer list and also became a major influence on the Holland beer scene. Not only did it emerge as a very popular stop on the tourist circuit, thanks largely to the role the Internet has played in the spread of Dutch beer worldwide, says van der Arend, it also became the place for breweries to debut new brands. Noting that de Molen was definitely the modern brewery that made people aware of Dutch beers abroad, van de Arend points to it and two other more domestically minded operations, Jopen and Texels, as the main instigators of change in the Netherlands. “When things really started to change around 2010, these breweries were at the front,” he says. What all three breweries have in common is a willingness to venture well beyond the typical Dutch brewery oeuvre of light and dark lager, bokbier and perhaps a Belgian-style wheat or light pale ale. Haarlem-based Jopen was quick off the mark with an old-style, sweetish and herbal ale, Koyt, as well as such specialties as Hoppenbier, while Texels, based on the largest of the Frisian Islands, embraced Belgian traditions with a dubbel, tripel and seasonal spiced wheat Winterbier, the last since replaced by the unspiced Noorderwiend. 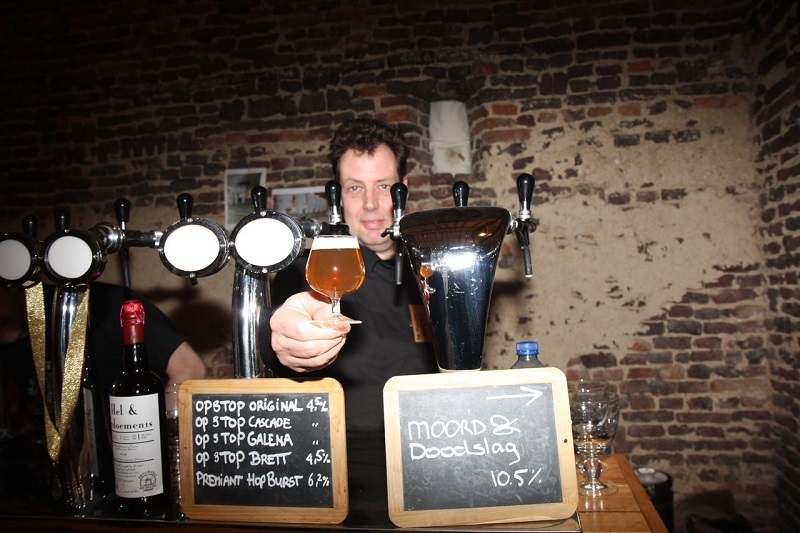 While Dutch beer drinkers were slowly waking up to the goings-on at Jopen, Emelisse, Texels, De Molen and a small number of other breweries, notably Schelde and the brewers collective known as SNAB, a changing of the guard was underway at one of Holland’s older breweries. It would ultimately have a pivotal effect all its own. Located on the body of water from which it draws its name, southeast of the train station, Brouweij ‘t Ij is almost certainly Amsterdam’s second-most-famous brewery, behind Heineken, of course. Located at the base of Holland’s tallest wooden windmill—actually a private residence and, contrary to popular perception, not part of the brewery building—it is immediately recognizable, and its tasting room has been a popular draw for locals and visitors alike since it opened in 1985. Problem is, for much of that time the beers were passable, for certain, even occasionally laudable, but almost never anything to write home about. That started to change in 2008 when local café owners Bart Obertop and Patrick Hendrikse bought the brewery from founder Kaspar Peterson. 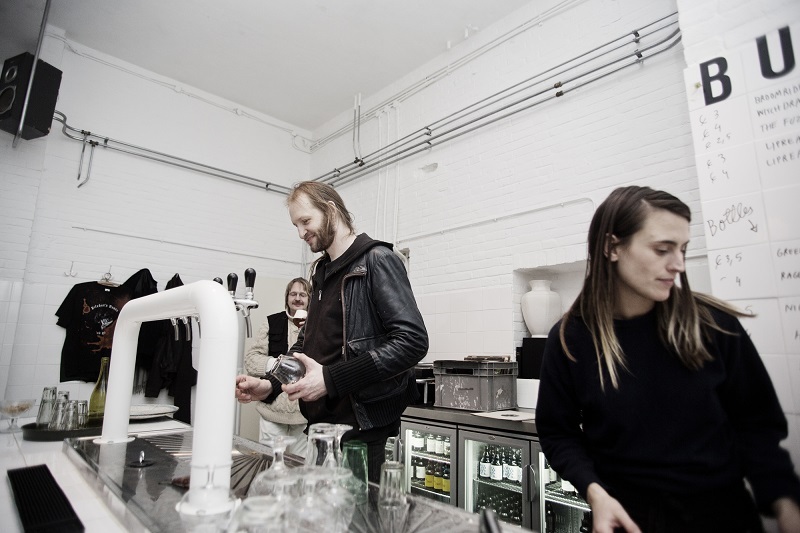 Almost immediately, the partners began a process aimed at expanding the brewery’s production and reach, and along the way opening up Amsterdam cafés to beer beyond the ubiquitous golden lager. And it worked. RELATED: Bitterballen: The Ultimate Bar Snack? Not only have the Ij—pronounced, more or less, “eye”—beers improved in quality and consistency, but also the early brewery focus on brands crafted along traditional Belgian lines, such as the Zatte tripel and Natte dubbel, has shifted to include a dry and fruity-hoppy session ale, Flink, and an American-inspired IPA, among others. With the opening of a new production facility, the brewery’s capacity has grown from a modest 3,000 hectoliters to 20,000. 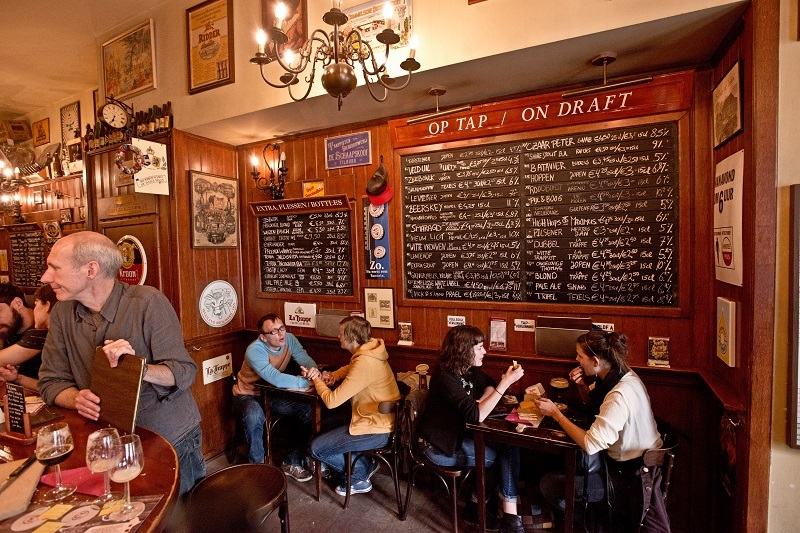 Explaining the shift in focus—though not entirely; Zatte and Natte are still highly popular brands—Obertop notes that the beer cognoscenti of Holland have moved on from Belgium. “Nobody talks about Belgium anymore. If you want to go on a beer trip, you go to the U.S. or England,” he says. Indeed, ideas are flowing fast and furious into the Netherlands these days, with brewery openings becoming increasingly common. One such outlet is Butcher’s Tears, an operation in Amsterdam Zuid, or south, which in late 2014 was busy putting the final touches on its brewery. During a recent visit, the beers were still being brewed under contract at Gulden Spoor in Belgium, but the garage-front operation nonetheless made me think it emblematic of the new face of Dutch beer. For in its quasi-industrial location, its mix of Belgian, American, English and even New Zealand influences, and its casual setup, Butcher’s Tears reminded me far more of London’s Kernel Brewery or a space somewhere between the old and new Hair of the Dog breweries in Portland, OR, than it did of Ij or De Molen or pretty much anything else Dutch that I had seen. Which is, in the end, perhaps the point. The Dutch certainly have a long and storied past as a people who trade in the ways and goods of others, hence the legendary Dutch East India Company and the historic importance of ports like Amsterdam and Rotterdam. So it is, or should be, unsurprising to witness the Dutch brewing industry reinventing itself not as a single entity pure and true, but more as an amalgam of influences from all over the world. Ultimately it may be the best approach to capture the next generation of Dutch drinkers, or, in the words of Ij’s brewery manager, get craft beer in the Netherlands “out of the niche bars and into the mass market.” So that Holland remains a good beer destination for many years to come. Stephen Beaumont is co-author of The Pocket Beer Guide 2015 and The World Atlas of Beer, both with Tim Webb. 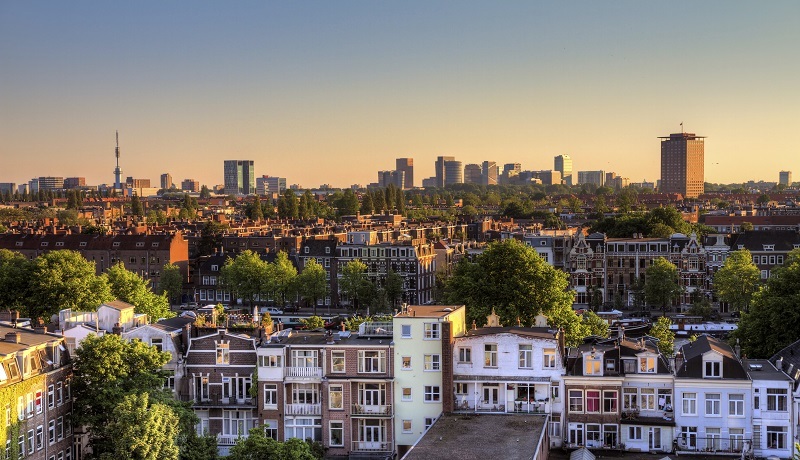 He has visited the Netherlands several times over the past decade, occasionally with the assistance of the Netherlands Board of Tourism and/or Amsterdam Marketing. Follow him on Twitter @BeaumontDrinks. Jetzt begann ich, alle in Düsseldorf erhältlichen Biersorten zu kaufen und durchzuprobieren. Mit Freunden, die regelmäßig nach Belgien fuhren, erschloss sich mir ein neues Feld von Biergeschmäckern. Bald waren so in den ersten 12 bis 18 Monaten über 300 Biersorten zusammengekommen, die ich verkostet hatte. Nun ergriff mich die Sammelleidenschaft völlig. Kein Urlaub verging ohne neue Sorten, alle Supermärkte und Getränkehändler der näheren und teilweise weiteren Umgebung wurden inspiziert. Eigentlich wollte ich nur die Biergeschmäcker sammeln, aber da ich mich schwer von Sachen trennen kann, ergab es sich, dass ich jeweils eine (leere) Flasche der neu probierten Sorte behielt. Ich setzte mir das Ziel, jährlich 100 neue Sorten zusammenzutragen, was mir auch stets gelang. Heute, 40 Jahre nach Beginn meines Sammelns, habe ich über 5300 verschiedene Biersorten aus 83 Ländern verkostet und habe noch von über 5000 Sorten die Flaschen herumstehen. Aber eigentlich stehen sie leider seit einiger Zeit nicht mehr herum, sondern sind, nachdem ich mich selbständig gemacht hatte und den Platz in meiner Wohnung ab dann für ein Büro brauchte, in Kisten verschwunden, die jetzt zwei Kellerräume und ein kleines Lager füllen. Da ich den Traum aufgegeben habe, jemals ein eigenes Haus zu besitzen, das groß genug ist, um alle Flaschen zu zeigen, möchte ich mich jetzt von meiner so mühevoll (aber auch mit viel Freude) zusammengetragenen Sammlung trennen. Sollten Sie also jemanden kennen, der meine gesamte Flaschensammlung kaufen, oder ein Museum wissen, das sie ausstellen möchte, wäre ich Ihnen sehr dankbar, wenn Sie einen Kontakt zu dieser Person / Einrichtung vermitteln könnten. Ich bespreche mich auch gerne mit amerikanischen oder russischen Millionären / Milliardären (Ölscheichs fallen ja wohl themenbedingt aus), falls mir diese irgendwo hier im Rheinland einen Showroom zur Verfügung stellen möchten. Wichtig ist mir, dass auch andere Bierfreunde die Sammlung sehen können. Selbstverständlich dürften Sie bei einem Erfolg exklusiv über die Aktion berichten.